iVan's aplication - Application Archives - SixtyGig - The Minecraft server for mature gamers. 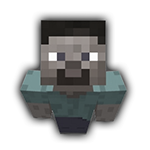 i have stumbled upon this server via google when i searched for "minecraft's older players". relax from everyday college test's. I speak croatian, english and german (you could expect some mistakes there). Hello, and welcome to the forums! Tell us some about yourself! What're some of your other hobbies? H iVan, and welcome to the SG forums We love to get our applicants, in plenty of details. If you could expand your application quite a bit, I'd be very happy ^^ I'd recommend looking through some of the other applications for inspiration. Im 23, and i am from Croatia i am physics dropout, now i study IT. I like: physic, math, electronic, running, eating, sleeping, and ofc. gaming. I don't like: smoking, coffe. I've mostly been mostly playing skyblock genre, so i guess i like to build, i keep my place nice and clean, i know how to build most of afk farms, but i don't like them, they look ugly, so extra map for resource extraction seems perfect. I am not fond of pvp's but if it commes to that i like to play as archer. normally I can talk about everything, but when it comes to talk about myself I fail. So i am kinda proud off my profile. Welcome to the forums iVan. You mentioned Limbo. In fact there is no Limbo anymore you come straight onto the main map with the rest of us. Ray really needs to change that in the info. But i hope people will like me even if I am not a coffee addictive. Also, since Ros is the applications manager... Coffee is definitely NOT the way to go. If you like tea, even better. How near, is it in your veins? How are you doing? Do you like Game of thrones? How about reading in general? What games do you play? Like Risk? What do you build? Do like lighting old men's lawns on fire and covering them in random blocks of obsidian? What about Hot chocolate? Whell hello to you too friend. Do you like Game of thrones? How about reading in general? What games do you play? Like Risk? I am simultaniously writing this and watching 6-th episode XD. I read a lot but it is all regarding my study. I mostly play strategy, RPG, building, based games, aaaand I don't like shooting, sport games. I like any social game if people that I play with are good and funny. Till now I've build a Temple with Egypt vibe, and a Nether fortress. I spend most of my time choosing what block to put where than I actually build. But if I join I would first like to see what others have already build, maybe help them or just meet them before i start to make my own creation thingy so it fit with environment. Do like lighting old men's lawns on fire and covering them in random blocks of obsidian? Ummm? Yes, and I am saying it only because you hold a gun pointed in my face . You are killing me. Was that a joke? I suppose i could enjoy in lighting older men's lawns if they are making a huge barbecue party and they explicitly ask me to do it, i don't see any other way. But even then i would cry inside. I tried my first chocolate 3 months ago from a person who made it very first time and i have strongly mixed feelings about it. For now I would rather stick with tea, or sambucus juice. Sounds good! And yes, I am holding a gun. Too bad you don't like coffee. Yeah, i guess now I can't mention T-E-A or Zac might accidently press that device he's pointing at me. I am being trained to love coffee against my will. Nice, in that case we will get along just fine, btw. i see you are dota player too. If you still play we could play a game or two sometimes. btw. i see you are dota player too. But if you've quit dota then you probably shouldn't start playing again. I'm just a bad player that's all, I would love to play but prepare for rage and anger! I do well at my rank but I'm a terrible support, which is made worse when I play with good players. so now i wouldn't even be suprised that you play in some pro team.